Sailing vacations in the Caribbean used to be a luxury and yachts were once the playthings of the rich and famous. Chartering a fully crewed yacht was accessible only to the privileged and wealthy few. If you had to ask how much, you couldn’t afford it. Nowadays, things are very different. With yachts to suit every budget, chartering in today’s world is as easy and affordable as any other vacation, all the latest toys included — but with some major and delightful differences. Crewed chartering brings new meaning to the words “getting away”. Perfect for families, honeymoons, friends and even corporate retreats, the British Virgin Islands in the Caribbean are a paradise of hidden treasures. There is something for everyone. From total seclusion to the wildest party spots, and everything in between, the British Virgin Islands’ 60 islands and islets have it all. Reconnect yourself to the heartbeat of life, away from the hustle and bustle of the daily grind. Dream. Breathe. Laugh. Play. Let Dynamic Charters arrange all the details. What’s your dream sailing vacation? Crewed Charter Yachts cater to many different travel styles. If you feel like a kid in a candy store, with so many wonderful things to choose from that it’s hard to know where to start, contact us. We’ll help you find the sweetest sailing vacation you can imagine. 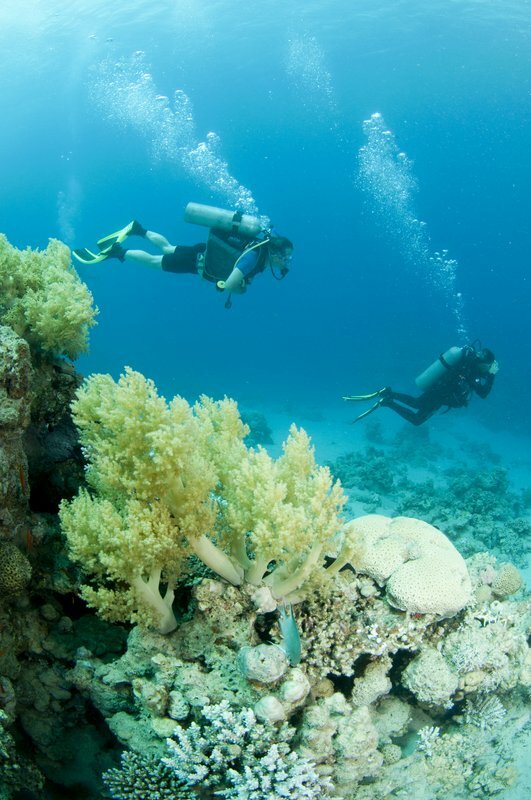 Scuba diving in the BVI combines warm, crystal clear water with a relaxed, no-hurry pace perfect for exploration. Dreaming of a scuba-diving adventure? Whether you are certified or want to get certified, we have a number of yachts with expertly-planned scuba programs. 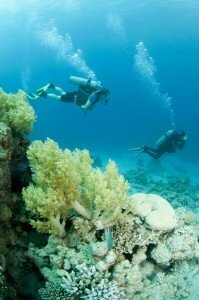 Our Scuba-trained crew are fully knowledgeable of diving areas and can help you plan your best diving holiday ever. We also offer pre-trip certification in order to make the best use of your vacation. If only one or two guests want to dive—no problem! Your crew will plan the perfect vacation for the whole group—picking diving locations that are great for snorkeling, onshore activities, or just sunbathing onboard with a cocktail. » Click here to read more about the best known scuba diving spots in the British Virgin Islands. 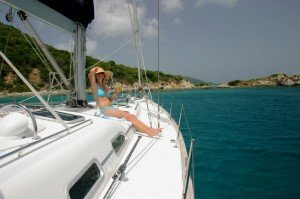 If a romantic sailing excursion is what you’re after, we offer sailing yachts and sleek motor yachts with private honeymoon suites. Your crew will select quiet anchorages where you can swim ashore from the yacht to beaches and enjoy gourmet meals and wine. For our romantic voyages, your crew will be there when you need them, and disappear when you don’t. Are you after a family sailing vacation? 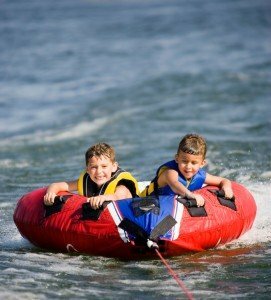 Most of our yachts are children-friendly and have a whole list of onboard entertainment from indoor toys to kayaks, water tubes, floating tubes, snorkel gear, and paddle boards. Each stateroom has its own TV, DVD, ipods, and games, and each yacht has its own list of favourite toys. Your crew will prepare kid-friendly foods, and will take extra care to accommodate any allergies or food restrictions. Simply let us know about any restrictions before the cruise, and we’ll have the right foods onboard to ensure the safety of your family. These are great fun for when larger groups or families want to charter more than one yacht and travel together.The boats agree on the itinerary and then sail round together meeting up for meals and the anchoring in the same spot at night. Want to Sail? Learn to Sail Your Crewed Charter Sailboat! What better way to learn the basics then by cruising with a fully-qualified Skipper? Many of our captains love to teach novice sailors and are thrilled to see their guests try their hand at the helm. We even offer lessons to our youngest passengers—it’s quite the experience seeing your 6-year-old steering a yacht (with the captain by his side). Many Captains have sailed in different areas of the world and love to share stories of their adventures over a cocktail at the end of the day. Chefs on crewed charter yachts take great pride in their ability to provide high quality menus. Every meal is created individually according to your preference sheet. The preference sheet is your opportunity to let the crew know your likes and dislikes, dietary restrictions, wine and beverage preferences, and your favorite brands of spirits. If children are in your party, we can even create special meals for our littlest sailors! Check out the sample menus for ideas and standards. Want the amenities of a crewed yacht without the expense of fine dining? Charter one of our Captain-only yachts. Your Captain will take care of the sailing, the yacht, and plan the itinerary, while you are responsible for providing the food (including feeding the captain) cleaning, cooking fuel, water, ice, and local permits. Many of our Captains are the owners of their boats which has an advantage over just hiring a captain. Owners take pride in their yachts, know them inside and out, and tend to have extensive local knowledge. If you decide you need a chef/stewardess, the captain can provide one to add as extra crew. A Captain-only charter is ideal if you do not want a full crew onboard and prefer to do your own cooking or eat ashore more often than dining onboard.